I thought I'd start a space for financing CRR. As we all know, without finance, even the best ideas are just thoughts. There are plenty of sound ways to fund infrastructure, but land taxes are the best and also the least likely to be used – because the financial industry, and in particular, the big four banks, would hate it. Taxes that capture uplift in land values (sometimes called betterment taxes) can be effectively used to recoup spending on a lot of public infrastructure. Most good public infrastructure projects lift land values for properties that the infrastructure serves. Land Tax is one of the best ways to do it. It could be started off as something like 'Luxury Property Tax' applying to ALL residences over $X (including owner occupier residences, but excluding those properties which already are paying land tax), where X is a high threshold value. The best option would just be to bite the bullet and borrow the money now before interest rates head north again. It would be just as politically difficult as selling additional property taxes. Someone posted yesterday in another thread about PPPs that include development rights to offset the loss that private investors normally make on infrastructure projects. This is a similar idea, specifically a mechanism to offset the cost of infrastructure with the land value increase that the infrastructure might create. I like the land tax idea better though. Of course the obvious problem that needs to be avoided in any attempt to capture land value increase is the temptation to design your infrastructure to maximise profit rather than utility. And maximising profit results in a preference for the cheapest projects with the greatest potential for land value increase. Precisely what these projects are probably depends on the context, but one thing is for sure, they are going to be overwhelmingly new corridors, rather than upgrades to existing ones. Melbourne in the 19th century is a prime example. Pretty much continuously between 1860 and 1890 there were calls to connect Spencer St, Flinders St and Princes Bridge railway terminals together to allow through routing of trains. But nothing was done for thirty years. And not because the government wasn't interested in building railways. In that same thirty years, the government built 2700 miles of new railway, most of it in sheep paddocks owned by people who were prepared to pay to see the value of their paddocks rise. I'm not saying it's inevitable. But I think that the danger is, if you are funding construction out of land value rise, you a strong political will to maintain the discipline to ensure the land value rises are being spent on the infrastructure we need, and not simply the infrastructure that makes the most money. But yeah, aside from that, intriguing concept. for them (Clem 7, AirportLink investors take note!). But the function of a bust is to simply correct the imbalance. On the bright side, lots of affordable housing after that! Other ideas are trading planning concessions for contributions. E.G. Give the Queens Wharf developer a relaxation on some city plan requirement in return for the developer funding the entire cost of a George St station box and fitout. I would be more in favour of a tax like this which encourages people to use public transport, rather than a 'land tax' which could end up just being used for electoral pork barrelling and goodies. One option would be to simply levy a tax on all paid carparks within a certain radius of the CBD (within 5km of either the City or UQ would work well). Vancouver has a similar tax and it works well, and the funding goes directly to TransLink (BC). Other options include fuel taxes, fare surcharges (+50c for people travelling in zone 1 in peak, for example) and so forth. I generally disagree with increasing taxes though, so I'd only support this if all revenue was directly tied to CRR funding/debt repayments. Possibly could be called 'Public Transport Infrastructure Tax', and should be explicitly set out that such funding should only go towards PT infrastructure. By the time CRR1 is paid down it'll be time for CRR2 anyway, and Trouts Rd after that, so it isn't like we're going to run out of things to build. 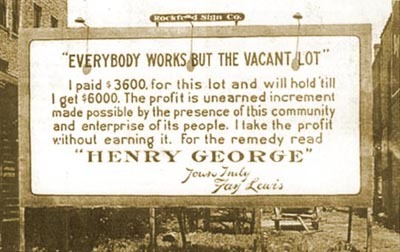 The beauty of land tax is that (a) it has a broad base so that taxes can be very very low (1-2% is common), it is impossible to escape (cannot take the land and hide it in Cayman Islands) and it is proportionate. It is also least distortionary as one cannot withdraw their land parcel from use or supply. It also increases housing affordability. The problem with benefits concessions is that the base is too narrow, the amount one would raise is rather small. The ACT is introducing land tax by phasing out Stamp Duties, which is a transactions tax and problematic because it distorts land sales. And the good thing is people like the property council hate Stamp Duty and would rather see a Land Tax also. Double win. The Property Council has backed scrapping stamp duties and called for changes to land tax and payroll tax in its submissions to South Australia's tax review. The council's SA division has urged the state government to consider tax changes in a national context and to take a leadership role in the tax debate. It says inefficient taxes, like stamp duty, must go and their revenue be replaced with those that are more broadly based, the most obvious of those being an increase in the base and rate of the GST. With project costs inflating at a higher percentage than the Government bond rate, NOT borrowing to build critical infrastructure is actually the irresponsible path - not that the mainstream media (particularly Murdoch) would ever admit that.